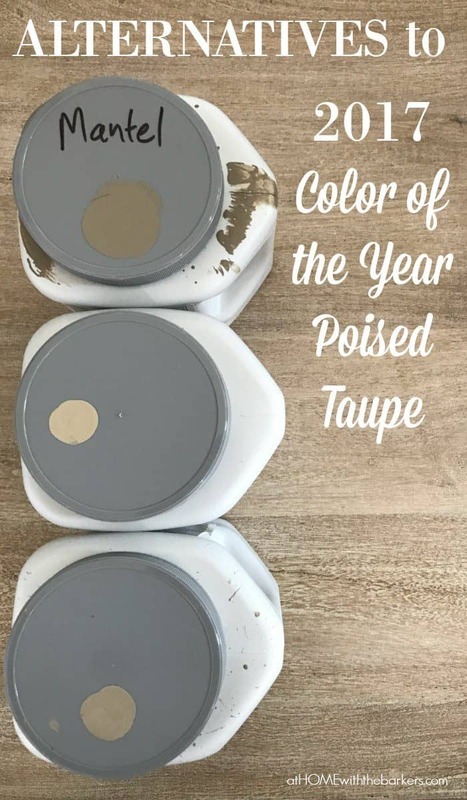 Long before Sherwin Williams’ Poised Taupe made an appearance as the 2017 color of the year I have loved this neutral choice. 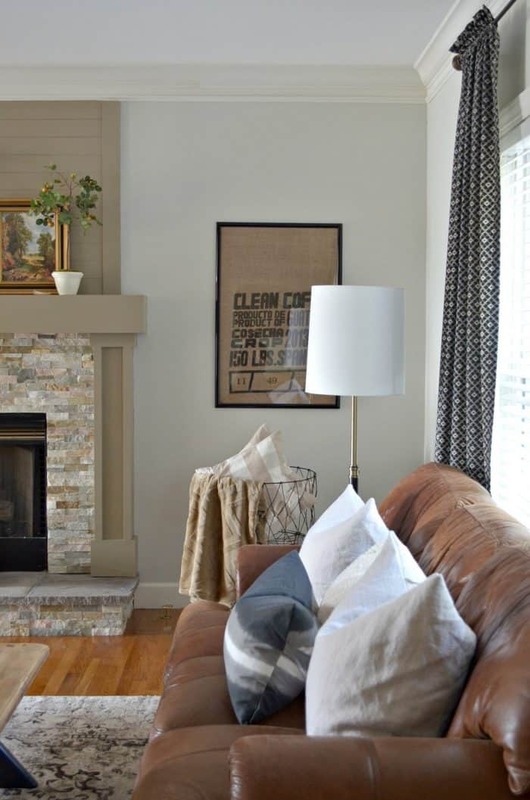 Taupe happens to be one of those colors that will work well in any space. It can be tricky to choose though. 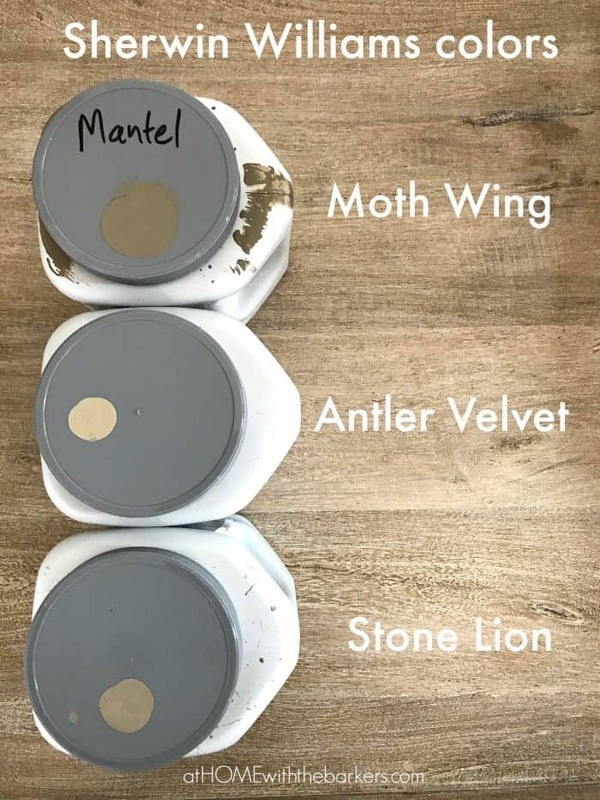 You will need to use my tips for choosing the right paint every single time to get it right! Unless you want to take the chance of having pink undertones in your space those tips are super important. 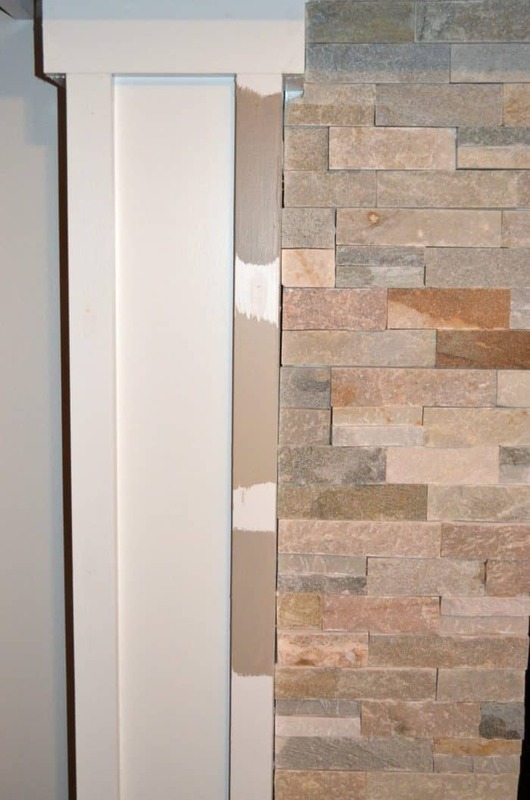 Back last fall when I was working on my living room makeover I shared with you my dilemma over leaving my mantel white or painting it a color again. 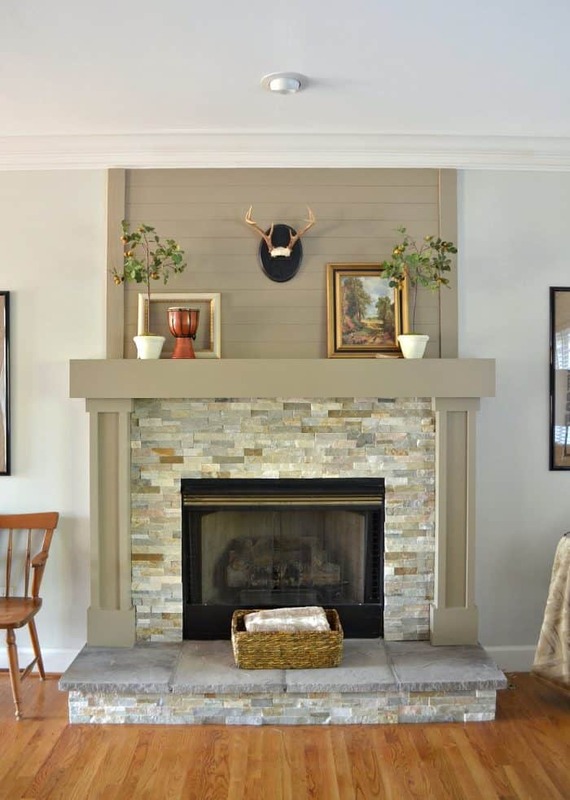 When we completed our DIY fireplace makeover I chose to paint the mantel white. It had previously been Sherwin Williams Gauntlet Gray, which I absolutely loved. I ended up going with my gut and my painted mantel of bright white turned cozy moth wing . Although I didn’t chose poised taupe I did choose some samples in the taupe family. I brought home 3 options to try. All were Sherwin Williams colors. I painted each color on the mantel so that I could see them in the day and night light. They are painted in the same order as the above photo. As you can see the slight difference in color from the above photo of paint cans that was taken during the day and the sample paint photo that was taken at night. I originally thought I would go with the bottom one, Stone Lion. I painted the entire mantel one coat of it. Halfway through the painting I knew that it just wasn’t dark enough for this room. I finished painting the entire mantel anyway because I knew I was going to need more than one coat of paint. You can see below where I started adding the Moth Wing in the shiplap detail on top. It looked better right away. 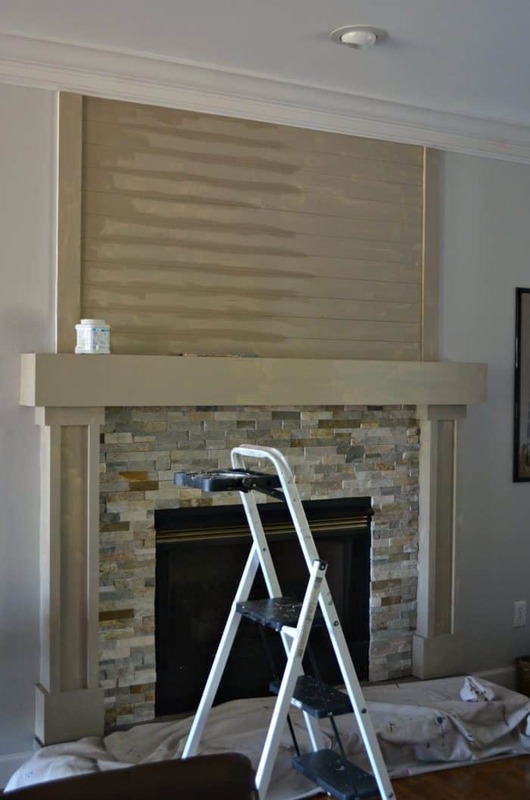 I know lots of people loved the white but for us the cozy feeling the painted mantel gives us now is what we were after for our living room. I’m happy I went with this taupe shade, I only wish it had a better name than Moth Wing, ha ha! Paint is a do it yourselfers best friend! It’s affordable and makes home decorating a breeze if you take a little time to get it right. If you ever have any questions please feel free to ask. I would love it if you would PIN this photo to have on hand for when you need it.